Back by poplar demand! 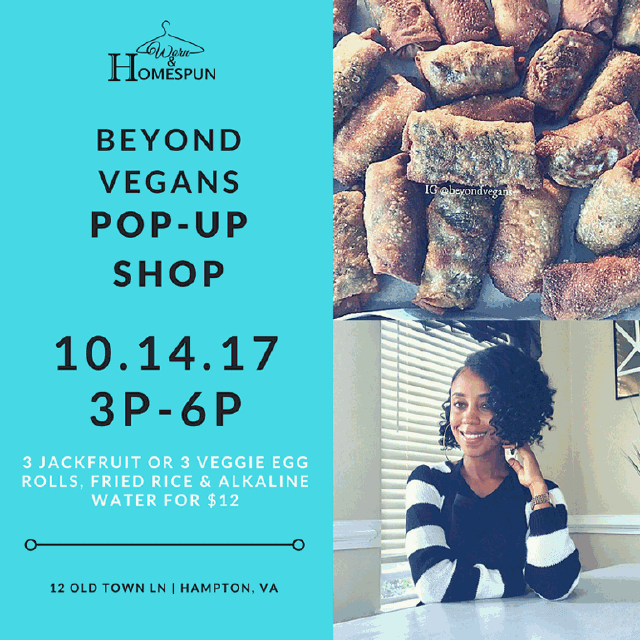 We will be having another Pop-Up Shop this weekend Saturday 10.14.2017 @wornandhomespun from 3pm – 6pm! Last time we sold out in 1 hour! With a side of vegan fried rice and a cup of alkaline water.